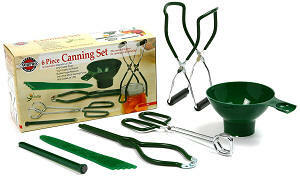 Whether you are canning for your first time or in your 50th year of canning; all the supplies you need are here, and at the best prices you'll find anywhere! Scroll down this page for photos, descriptions, prices and ordering information. 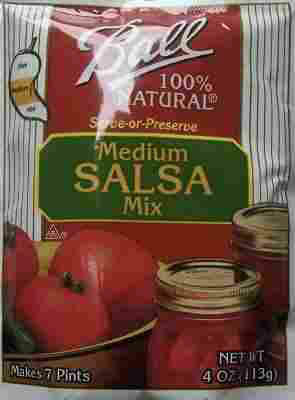 Everything can be shipped by a variety of methods, including overnight, if you have a canning emergency! I've found reliable suppliers for the products here, and now at even lower prices - I'll bet you can't beat them anywhere! And I appreciate your business- buying the products here helps support the website! The same as the kit above, but without the jars, jar lids, Ball Blue Book and coupons. Around $25. 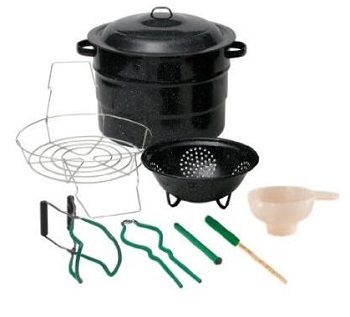 There is a separate kit of supplies further down the page. 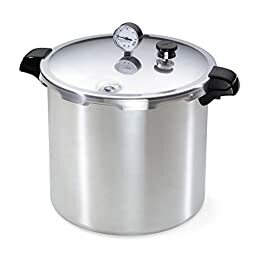 IIf you have found that the standard canning pots boil over and spill hot water because you have to fill them so full to ensure that quart jars are covered by 1 to 2 inches of water, then here is the solution. 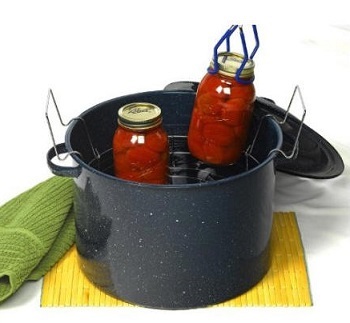 This pot is not called a canner, but it works perfectly well as one. The rack from your old canner will fit inside it (I don't use the perforated plate that you see in the photo - it coesn't seat well with the weight of 7 quart jars on it . And because it is 32 quarts in volume rather than 21, the water returns to a boil faster after you put the jars in it. This pot adds to safety and reduces mess. 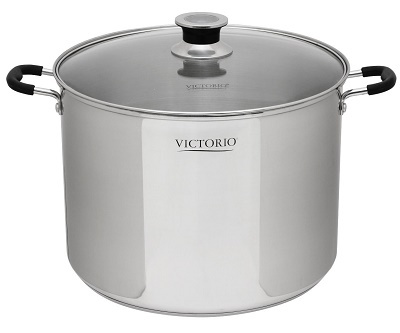 And, of course, you can use this as a steamer pot for seafood and other foods, too! 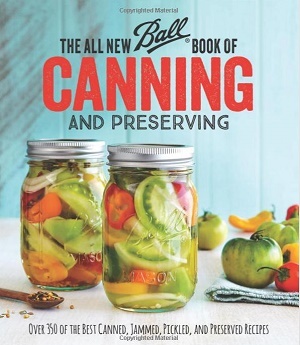 This is THE book on canning! My grandmother used this book when I was a child. 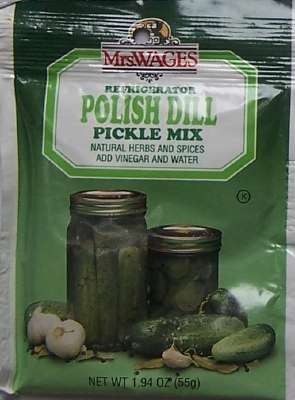 It tells you in simple instructions how to can almost anything; complete with recipes for jam, jellies, pickles, sauces, canning vegetables, meats, etc. If it can be canned, this book likely tells you how! Click on the link below for more information and / or to buy (no obligation to buy). You will see various different cover pages depending upon the publisher, but the Amazon links at left will take you to the correct version. 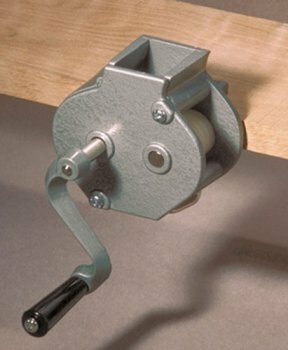 And there's a pea sheller, too; to make shelling peas easier. GGet them all here at the best prices on the internet!